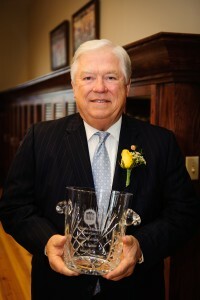 A two-term Governor of Mississippi, Haley R. Barbour received his JD from the University of Mississippi School of Law in 1973. As a law student he was a member of the Mississippi Law Journal. Governor Barbour began his political career in 1968 working on Richard Nixon’s presidential campaign; in 1976, he ran Gerald Ford’s fall campaign in the Southeast. He later served as political director of the Reagan White House and worked on the George H.W. Bush campaign. In 1987, he cofounded the government affairs firm that later became BGR Group. From 1993-97 Barbour served as chairman of the Republican National Committee, managing the 1994 Republican surge to GOP control of both Houses of Congress for the first time in 40 years. In 2003, he made history when he became only the second Republican to be elected governor in Mississippi since reconstruction. As governor from 2004-12, Barbour realigned economic development, enacted tort reform and balanced the state’s budget. His team generated numerous large economic projects in the energy, aerospace and automotive fields, including the selection by Toyota of Blue Springs, for their newest U.S. auto assembly plant, which was the most sought after economic development project in the United States that year. In Barbour’s eight years as governor, per capita income in the state increased by 34 percent. When Hurricane Katrina hit the Gulf Coast in 2005, Governor Barbour received national recognition from the bipartisan American Legislative Exchange Council for his swift response to the worst natural disaster in American history. For his efforts to rebuild the Mississippi Gulf Coast, he received the Thomas Jefferson Freedom Award. 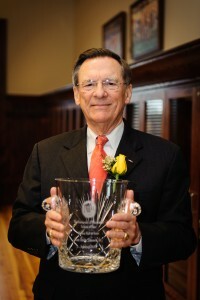 Other awards during his tenure as governor include being named Governor of the Year by Governing magazine, receiving the Gulf Guardian Award by the U.S. Environmental Protection Agency in recognition of his work to rebuild Gulf Coast ecosystems and receiving the Adam Smith Award from BIPAC to honor his pursuit of the principles of free enterprise. Mr. Bradford J. Dye is an attorney with Pyle, Mills, Dye and Pittman in Ridgeland, and serves as vice-president of Duncan Williams, Inc., investment bankers in Memphis. Born in Charleston, Dye was an Eagle Scout and graduated salutatorian from Charleston High School. He earned a Bachelor of Business Administration degree in 1957 and a LLB in 1959, both from the University of Mississippi. During his undergraduate years, he was an active member of student government serving as treasurer and then president of the Associated Student Body. Dye was an Ole Miss cheerleader and was a member of Pi Kappa Alpha Fraternity. He was also selected a member of the Ole Miss Student Hall of Fame. As a law student, he was a member of Phi Alpha Delta legal fraternity. Following graduation, Dye practiced law with his father in Grenada. From there Dye began an extensive legal and political career. In 1959, he was elected from Grenada and Montgomery counties to the Mississippi House of Representatives where he was member of various committees including Ways and Means, Public Health and Quarantine, Public Utilities, and Drainage Committees. Dye’s early success took him to the nation’s capital when Senator James O. Eastland selected him to be an attorney on the staff of the U.S. Senate Judiciary Committee from 1961-64. Dye became a Mississippi state senator in 1963 and served on numerous committees. He was Chairman of the Game and Fish Committee and Secretary of the Military Affairs Committee. In 1968, Governor John Bell Williams made Dye the director of the Mississippi Agricultural and Industrial board. He oversaw construction of the Ingalls Shipyard and was instrumental in the rebuilding of the State Port in Gulfport after Hurricane Camille. Dye served as Mississippi State Treasurer from 1971-76. He then became president of Jackson Savings and Loan Association. In 1980 he was elected Lieutenant Governor of Mississippi and is the only person in state history to have held this position for 12 consecutive years. During his tenure, Dye helped finalize many beneficial education and economic pieces of legislation. He was also instrumental in the Mississippi four-lane highway program, which is the foundation of the state’s current transportation systems. 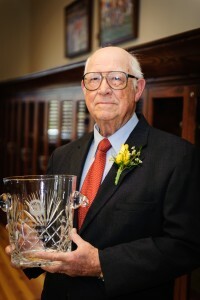 In 2006, Dye was inducted into the Ole Miss Alumni Hall of Fame. 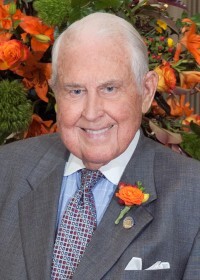 He was the first president of the University of Mississippi Business Alumni Chapter. 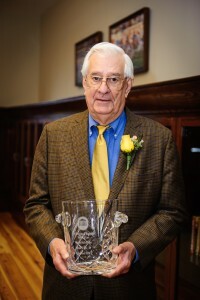 Dye was the first recipient of the Political Science Department’s Distinguished Alumni Award. The department also established a public service scholarship in his name. He is a current member of the Political Science Advisory Board. He is a long-time Red Cross life saving and water safety instructor for young people in Grenada and Tallahatchie Counties. He has also coached various youth sports programs organized by the YMCA and assisted with the Boy Scouts of America. Dye and his wife, Donna, reside in Ridgeland. Their sons and grandchildren are an integral part of their lives. Lee Davis Thames grew up in Vicksburg. In 1958, he graduated with honors from the University of Mississippi with a B.A. in Greek and English. Two years later, he earned his J.D., graduating first in his class. As an undergraduate, he was a member of Phi Delta Theta Fraternity, was editor of the Ole Miss yearbook, was elected to the Associated Student Body as a class representative and was in the Army ROTC. As a law student, he was a member of the Mississippi Law Journal, the Moot Court Board and of Phi Delta Phi. In 1984 Thames earned a theology certificate from The University of the South. Following his 1958 graduation from Ole Miss, he began a lengthy military career. He graduated from the Army Infantry Career Course, the Army Engineer Career Course, the Army Command and General Staff College, the U.S. Army War College and the Air Assault School of the 101st Airborne Division. He eventually achieved the rank of Brigadier General in the U.S. Army Reserve. Upon completion of his active military duty, Thames began his legal career by joining his father in private practice in Vicksburg. A few years later he started the firm of Ramsey, Bodron, Thames and Robinson, which grew to eight attorneys. In 1980 he joined Butler, Snow, O’Mara, Stevens & Cannada, when it consisted of just 22 attorneys. In Vicksburg, Thames was instrumental in organizing the Warren County Junior Bar Association and served as its first president. He went on to serve as president of the Warren County Bar Association. His service to the Mississippi Bar includes being a member of its Complaint Tribunal and the Board of Commissioners. Thames has helped bring more than 200 trials to verdict, defending clients in Mississippi courts, U.S. District Courts, U.S. Courts of Appeals, U.S. Court of Military Appeals and the U.S. Supreme Court. Thames earned great national and international attention for his defense of chemical and pharmaceutical companies in personal injury and mass tort litigation cases. Some cases took him as far as Europe and the Middle East. He has had a long pro bono career representing indigent defendants. Most notably the decision handed down in Gideon v. Wainwright holding that the Constitution requires counsel to be provided to defendants in criminal cases. A fellow of the American Bar Foundation and the Mississippi Bar Foundation, Thames was recognized by The Best Lawyers in America since its first addition. Awards from this magazine include: 2012 Lawyer of the Year Product Liability Litigation, Personal Injury Litigation, Bet-the-Company Litigation, and Commercial Litigation. Legal Media Group recognized him as Top Product Liability Attorney in the World, and The Mid-South Super Lawyers recognized him in Top Fifty Lawyers in Mississippi. He was listed as one of the International Who’s Who of Product Liability Defense Lawyers. In 2013, the Mississippi Defense Lawyers Association awarded Thames the Lifetime Achievement Award. Thames is extremely active within his church. He served on the Mississippi Episcopal Diocesan Executive Committee, Standing Committee and as Chair of the Mission Strategy Committee. He has also served on the national level as a Deputy to the National Convention and as a member of the Standing Committee on Churches in Small Communities and Standing Committee on Peace. Professionally, he has served as legal counsel to the House of Bishop’s Disciplinary Tribunal. William L. “Bill” Waller was born in Oxford and grew up on a farm in the northeast Mississippi hill country. After graduating from University High School, he earned a B.S. in general business from Memphis State University in 1948. Two years later, he earned his LLB from the University of Mississippi. Upon graduation, Waller entered the U.S. Army and served in its Intelligence Corps during the Korean War. He then relocated in Jackson, where he would practice law for 61 years. He became a senior partner at Waller, Pritchard and Fox and later at Waller and Waller Attorneys. His public service career began in 1960 when he became District Attorney for the Seventh Judicial District. Waller received prominence for his vigorous prosecution against segregationist Byron De La Beckwith in the 1964 Evers case, the first Civil Rights murder case in the state of Mississippi. He wrote about his experience in his 2007 book, Straight Ahead: Memoirs of a Mississippi Governor. The Mississippi Democrat became governor in 1972 and was the first leader to appoint African-Americans to boards and commissions in post-reconstruction Mississippi. The Civil Rights advocate abolished the Mississippi Sovereignty Commission, a group that had been opposed to integration, and helped advance three historically black colleges to university status. Waller also recruited the first African-Americans for the Mississippi State fair commission and the highway patrol. Under his leadership, $600 million of construction was completed to improve Mississippi’s highways. The state also acquired 32,000 acres of Pascagoula River hardwood swamp for the sake of wildlife preservation. Waller was a member of First Baptist Church of Jackson for more than 60 years, where he was a member of the Fishers of Men Sunday School class and a founder of the Friends of Alcoholics program. A native of Hickory Flat, Fred Wicker is a 1946 graduate of Holmes Junior College, where he played football, basketball and ran track. While there he was also elected president of the student body. In 1943, Wicker was inducted into the armed forces and served in the Army and Army Air Corps in tours of duty in the U.S., England, Belgium, France and Germany. At this time he was also a championship boxer. Upon his return home from active duty, he returned home to finish his studies at Holmes and then relocated to Oxford to begin law school. As a law school student he served as president of his class. He earned his LLB from the University of Mississippi School of Law in 1948. After receiving his law degree, Wicker married Wordna Threadgill, and they established a home in Pontotoc. There Wicker embarked upon a legal career that spanned 42 years. He established a general law practice and was elected in 1951 as Pontotoc County Prosecuting Attorney, where served three consecutive terms. From 1957-65 he served as Attorney for the City of Pontotoc. In 1967 he was elected State Senator to represent Pontotoc, Union and Benton Counties. In 1970 Judge N. S. “Soggy” Sweat, Jr. resigned his position as Circuit Judge in the First Circuit Court District to become a professor at Ole Miss law school. Wicker resigned his seat as State Senator to replace Judge Sweat. He was elected to this position five times, and retired in 1990 after serving twenty years on the bench. Throughout his judicial career, he never had an opponent when elections rolled around. In his community, Wicker was instrumental in Pontotoc’s growth. While representing the city, Wicker helped establish the Pontotoc County Development Association for economic development. He also played a key role in the establishment of the Pontotoc Country Club. He is a member of Pontotoc Rotary Club. During his 65 years of membership, he has served as the club’s president and has become a Paul Harris Fellow. He is a member of American Legion Post 16, where he has also served in various leadership capacities. Wicker has been a member of First Baptist Church of Pontotoc since 1948 and has served as a deacon and Sunday School teacher. As a Circuit Judge, he served as chair of the Circuit Judges Conference. He also represented the Conference of Mississippi Judges and its Circuit Judges Section at numerous American Bar Association conventions. Prior to retirement he was a Senior Circuit Judge in the First District. In 1998 Wicker returned to Holmes when he became a recipient of the Holmes Community College Distinguished Service Award. In 2005, the Mississippi State Senate and House of Representatives adopted Senate Resolution 586 commending Wicker on his career as a public servant and veteran.